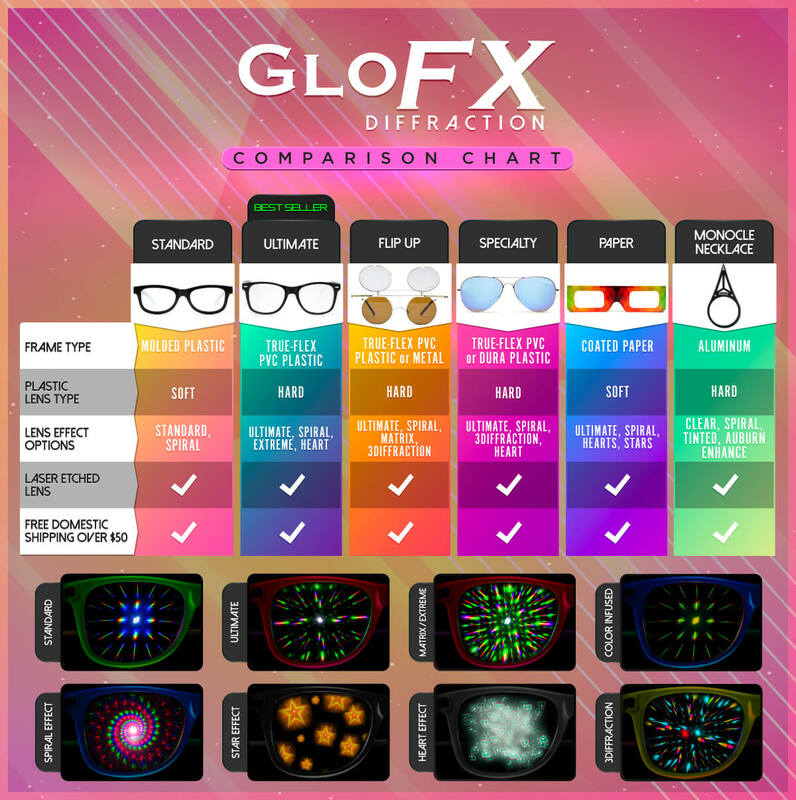 Enjoy true quality and prestige with these sleek GloFX Flip Diffraction Glasses. These clear lens glasses feature a flip down layer of diffraction. Everyone needs a break from the light diffraction at some point, and these glasses allow you to have that break without the worry of loosing your glasses. Simply flip them when you need some eye rejuvination, and back down when it’s time to party! These glasses feature our Ultimate Diffraction Lens with over 3 times the light diffraction of competitors. The 100% True-Flex PVC Plastic frame of the diffraction flip glasses can withstand nearly any torture, while our hard plastic lenses remain solid time and time again. The stainless steel hinges and water resistant lenses make these glasses suited for any environment. Grab a pair of our Flip Diffraction Glasses, or two. Stop waiting and start impressing today.